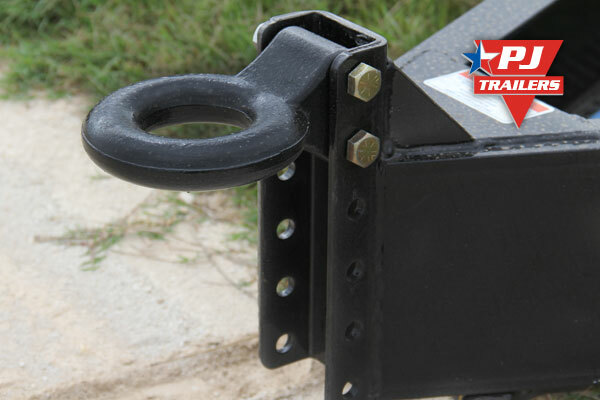 Upgrade to a 10,000 lbs high capacity jack for your bumper-pull dump trailer. 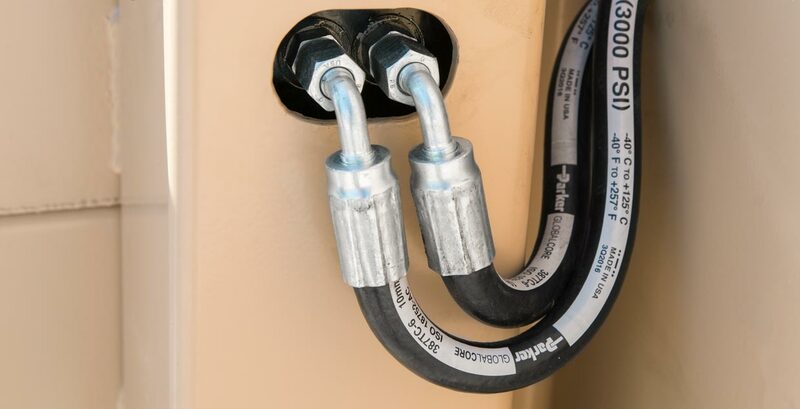 Our Gooseneck to Kingpin Adapters allow you to pull our gooseneck trailers with a fifth wheel hitch. Simply slide the adjustable height gooseneck coupler down out of the outer clamping sleeve on the neck and slip the kingpin adapter up into the sleeve and pin it in place taking care to tighten the set screw(s) to prevent movement. These kingpin adapters are equipped with 2" SAE Kingpins and have a black powder coat finish. 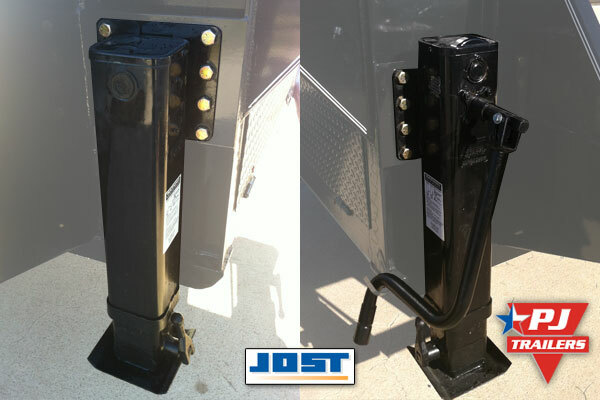 Jost jacks have quickly become one of the most popular two speed trailer jacks on the market. 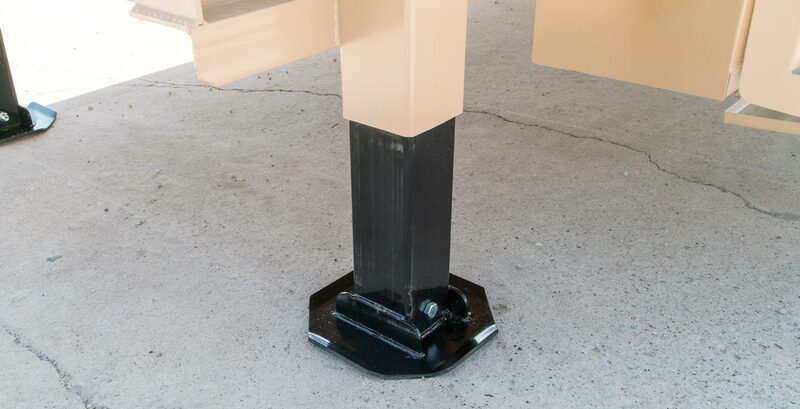 They have a patented internal gear box that protects the gearing from abuse and minimizes water intrusion. Moving the handle to the bottom of the coupler allows for more vertical adjustment since there is no longer handle assembly on the tube. 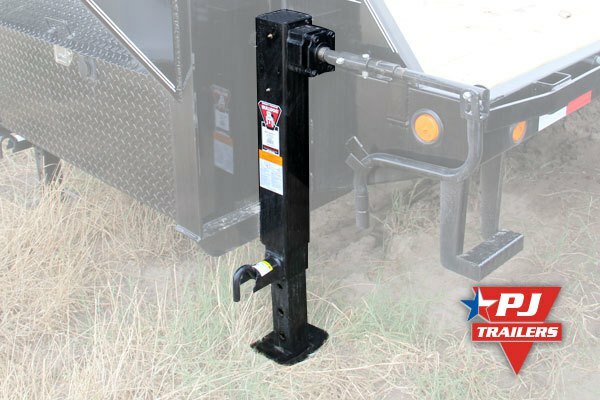 A "shorty" version is available, which is especially useful for lifted trucks. 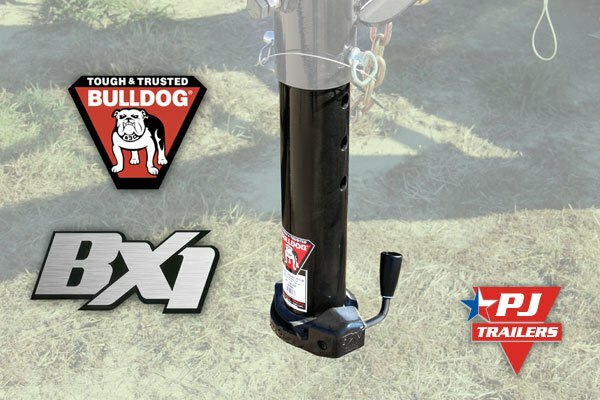 Our two speed Bulldog jacks make cranking loads both faster and easier. 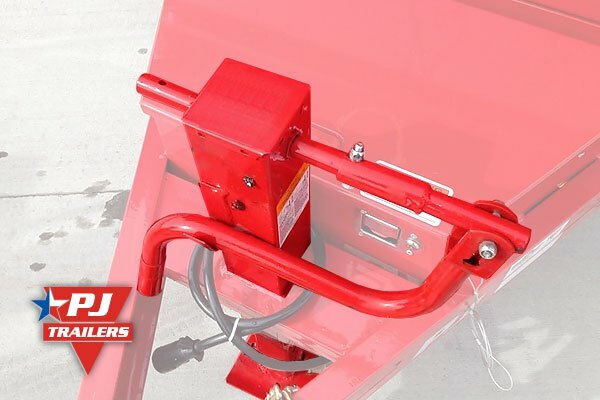 The PJ Trailers self-contained hydraulic Monster Jacks™ make raising and lowering your trailer as simple as pressing a button. 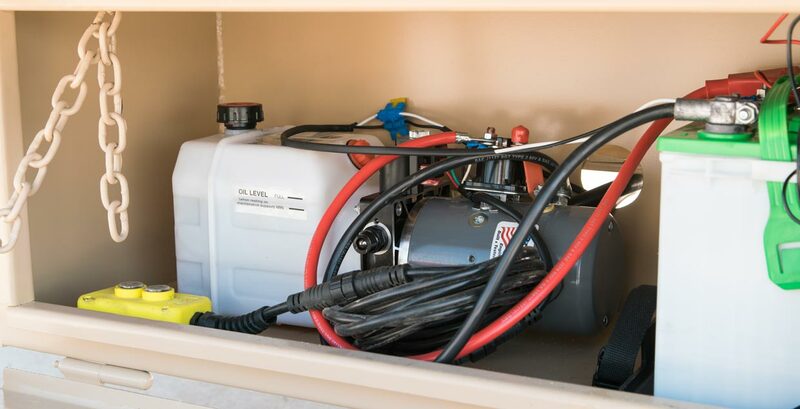 This option is becoming more popular due to the amount of energy it takes to raise and lower the trailer. 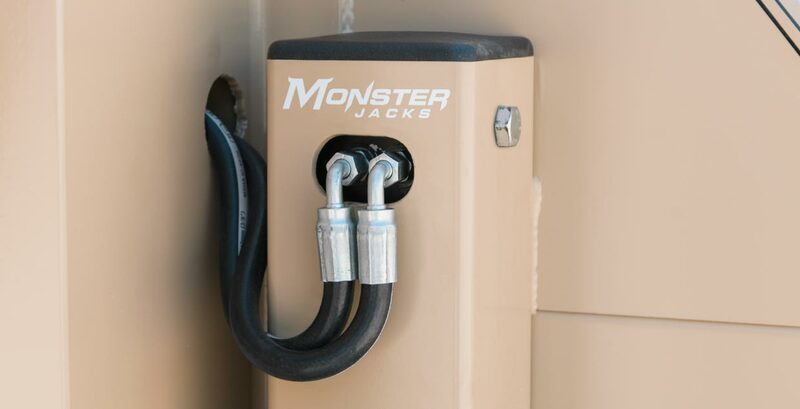 Not only do Monster Jacks™ save your back, they also save you time by reducing 1-2 minutes required to raise a trailer to around 5-10 seconds. 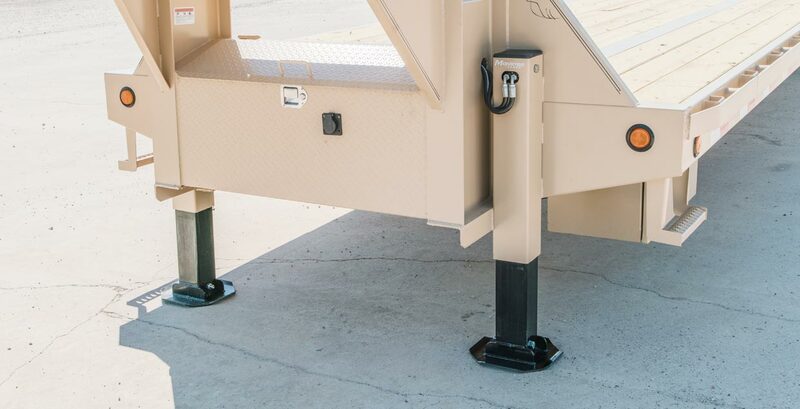 You also will no longer need to bend over to raise & lower the jack foot after the trailer has been hitched to the truck. 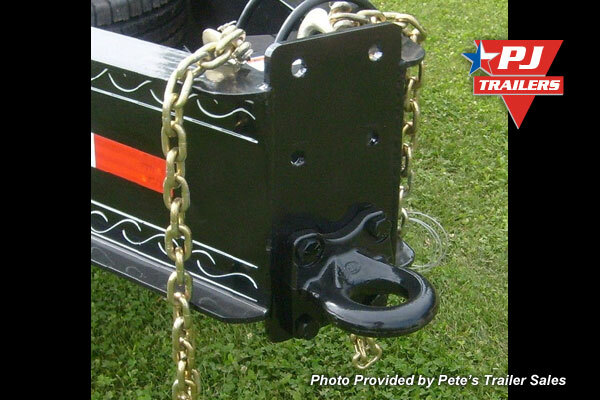 If you need the 25,000 lbs bumper pull rating but don't like tow rings or pintle hooks, the 25,000 lbs 2 5/16" rigid mount coupler is a great alternative. 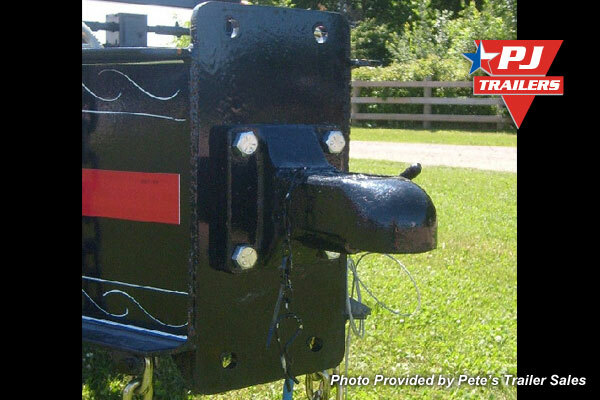 This multi-position coupler mounts to the nose plate with four (4) 5/8" bolts. 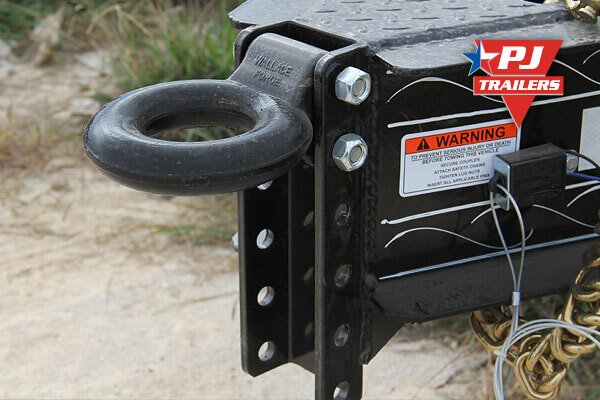 Pintle/Tow/Lunette rings give you full range of motion across uneven terrain that might cause a ball coupler to bind or break. 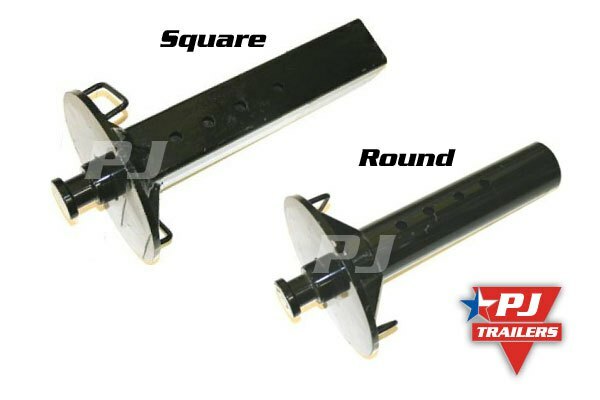 Tow rings are typically more common on our higher GVWR trailers (14,000 - 30,000 lbs) and are the coupler of choice for most dump trucks. 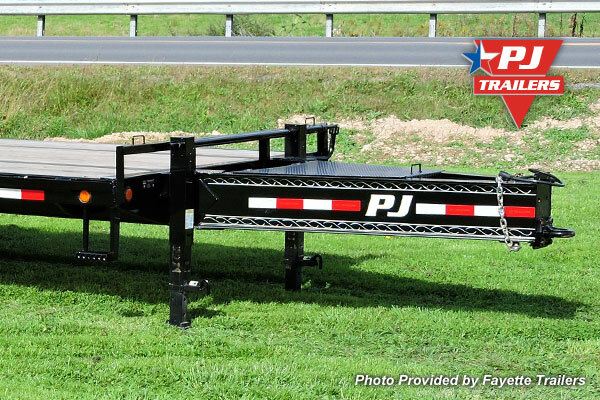 Almost every PJ Trailer can be ordered with a pintle/tow ring. 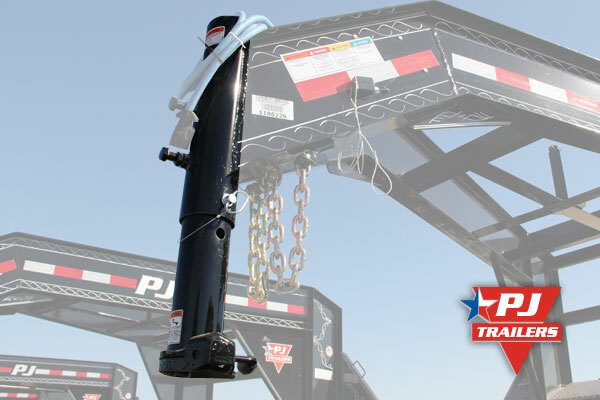 Trailers built with 12" I-beam frame receive the face mount ring that rates at 36,000 lbs. 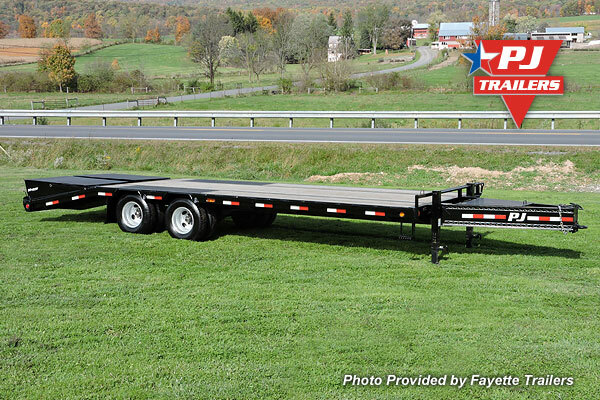 Trailers built with 6-8" channel or I-beam receive a channel mount tow ring that rates at 20,000 lbs.